• AUDI R8 v8/v10 There are 16 products. 645 € Parts are made to special order. Pre-order today and have it delivered in 4 weeks. HIGHEST QUALITY CARBON FIBER PART GUARANTEE 4 pieces FULL Carbon Fiber cannards - NO fiberglass used. 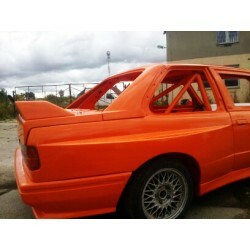 Perfect for motor-sports, show or modified street cars. We use only highest quality materials approved by aerospace industry. RAW finish - may be wrapped or clear-coated by customer Can be clear coated if customer wishes at extra cost - please contact us. 1 950 € Parts are made to special order. Pre-order today and have it delivered in 4 weeks. 545 € Parts are made to special order. Pre-order today and have it delivered in 4 weeks. HIGHEST QUALITY CARBON FIBER PART GUARANTEE Set of 2 L+R FULL Carbon Fiber part - NO fiberglass used. Perfect for motor-sports, show or modified street cars. We use only highest quality materials approved by aerospace industry. RAW finish - may be wrapped or clear-coated by customer Can be clear coated if customer wishes at extra cost - please contact us. 3 495 € Parts are made to special order. Pre-order today and have it delivered in 4 weeks. 19 950 € Parts are made to special order. Pre-order today and have it delivered in 4 weeks. 1 550 € Parts are made to special order. Pre-order today and have it delivered in 4 weeks. HIGHEST QUALITY CARBON FIBER PART GUARANTEE 2 pieces L+R FULL Carbon Fiber parts - NO fiberglass used. Perfect for motor-sports, show or modified street cars. We use only highest quality materials approved by aerospace industry. RAW finish - may be wrapped or clear-coated by customer Can be clear coated if customer wishes at extra cost - please contact us.